Maggie Newman has been honored for her exemplary volunteer service with a President’s Volunteer Service Award. The award, which recognizes Americans of all ages who have volunteered significant amounts of their time to serve their communities and their country, was granted by The Prudential Spirit of Community Awards program. The Brook Hill School nominated Maggie for national honors this fall in recognition of her volunteer service. Maggie has logged numerous hours with SPCA (Society for the Prevention of Cruelty to Animals) where she serves as a foster, as well as volunteering for Brook Hill’s Fine Arts productions and other organizations in our community. 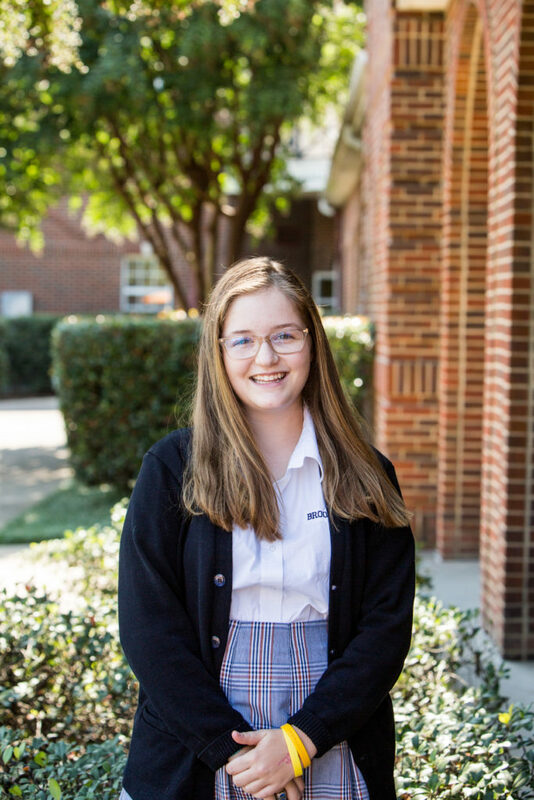 She qualified for regional recognition through the Prudential Spirit of Community Awards and will be presented with a certificate of recognition and a letter from President Trump for her achievements in May at Brook Hill’s award ceremony.